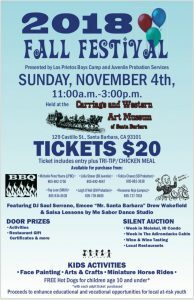 The Santa Barbara County Deputy Sheriff’s Association was proud to purchase a table of 10, for the 2018 Fall Festival. 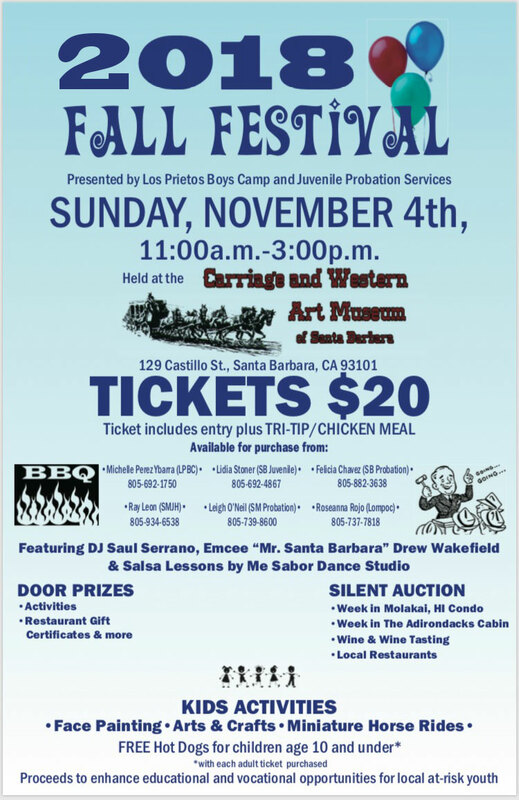 The Fall Festival was an event designed to raise money for at risk youth in the Santa Barbara area. The event was held at the Carriage Museum on November 4th.